Size of the Industry 250 large units and about 8000 Small Scale Units. 20,000 registered units all over India. Geographical distribution Bengal, Calcutta , Pune, Mumbai, Banglore. The history of Indian pharmaceutical market in 1970's was almost non-existent. Today, India has gained immense importance and carved a niche for itself in the pharmaceutical domain. In fact, it has emerged as a big mart for the pharmaceutical industry. In today's world, Indian pharmaceutical industry ranks 4th in terms of volume and 13th in terms of value. For example it might be anything like formulations, bulk drugs, generics, Novel Drug Delivery Systems, New Chemical Entities, or Biotechnology, etc. Indian companies are dominating in the marketplace which was traditionally manned by MNC's. In 1930, in Calcutta the first pharmaceutical company called Bengal Chemicals and Pharmaceutical Works, which still is today as one of 5 government-owned drug manufacturers was started. Today in India, Pharma Industry rank's first of India's science-based industries with wide ranges of capabilities in the complex field of drug manufacture and technology. The industry is estimated to be worth $4.5 billion, which is growing at 8-9% annually. It is one of the best and highly organized sectors. The sector specializes in term of technology, quality and range of medicines manufactured. The product of the industry ranges from simple headache pills to sophisticated antibiotics and also complex cardiac compounds. Pharma industry promotes the sustainable development in the vital field of medicines by boosting the quality producers and many units approved by regulatory authorities in USA and UK. The companies associated with this sectors which are international have stimulated, assisted and spearheaded the dynamic development in the past 53 years and helped to put India on the pharmaceutical map of the world. The growth of Indian Pharma Industry has grown tremendously since 2008-09 in terms of exports. The Indian pharmaceutical industry has grown from a humble Rs 1,500 crore turnover in 1980 to approximately Rs 1,00611 in 2009-10. The Indian Pharmaceutical industry consists of more than 20,000 registered units which are highly fragmented. It has been expanding in a tremendous manner in the last two decades and includes 250 pharmaceutical companies which control 70% of the market. The Indian Pharma Industry has around 70% of the country's demand for bulk drugs, drug intermediates, pharmaceutical formulations, chemicals, tablets, capsules, orals and injectibles. 250 large units and about 8000 Small Scale Units, form the core of the pharmaceutical industry in India. The units produced have the complete range of medicines which are ready for consumption by patients. The growth of Pharmaceutical industry in India is US$ 3.1 billion with growing rate at 14% year. As India is most advanced countries among the developing countries. In India the output of Indian Pharmaceutical industry increased to Rs260 billion in the financial year 2002, which accounts for 1.3% of the global pharmaceutical sector. The bulk drugs accounts for Rs 54 bn (21%), the remaining Rs 210 bn (79%) for formulations, imports were Rs 20 bn while exports were Rs87 bn in year 2002. 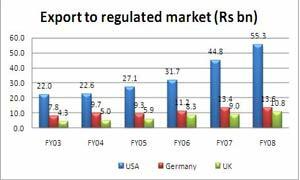 There is huge expansion of Domestic Pharma sector which estimated US$ 11.72 billion (Rs 55454 crore) in 2008-09 from US$ 6.88 billion (Rs 32575 crore) in 2003-04. India exports its Pharma Products to various countries around the globe including highly regulated markets of USA, Europe, Japan and Australia. Career in pharmaceutical industry or in Phamacy requires a candidate to take up D.Pharma or B.Pharma after completion of 12th class. Both PCB and PCM stream students can apply for these courses. D.Pharma: It's a two-year diploma course in pharmacy. B.Pharma: It's a four-year degree course in pharmacy. In the 1960's the government started to encourage the growth of drug manufacturing by Indian companies, and also passed the Patents Act in 1970. India currently holds a modest 1-2% share, but it has been growing at approx 10% per year in terms of global markets. India with its innovatively-engineered generic drugs and active pharmaceutical ingredients (API), has gained a good foothold in the global scene. 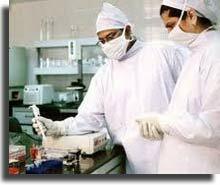 And today India is seeking to become a major player in outsourced clinical research as well as contract manufacturing and research. World's highest pharmaceutical pollution is measured in India itself. As the researchers analyzed vials of treated wastewater taken from plant where about 90 Indian drug factories dump their residues, they were shocked and surprised. Too much of single, powerful antibiotic was being dumped into the stream each day to treat every person in a city of 90,000. That particular Indian factories produce drugs for much of the world, including many Americans. The result: Some of India's poor population was consuming an array of chemicals that may be harmful, and could lead to the proliferation of drug-resistant bacteria. Last year, The Associated Press reported that concentrations of pharmaceuticals had been found in drinking water provided to at least 46 million Americans. But the wastewater downstream from the Indian plants contained 150 times the highest levels detected in the U.S.
Pollution handling and environmental issues faced by the industry. 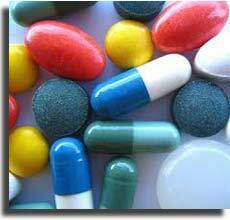 The Indian Pharma industry is characterized by large plants with highly advanced technology. Usually the cleaner production improvements come from redesigning processes or from recycling of major waste streams such as solvents. Case studies are the best sources of information for these solutions. The low-cost options such as improved housekeeping, dry cleaning, and solvent substitution maintenance can also offer significant savings and reduce waste. Cleaner production requires pollution guides for the chemical industries, for hospitals and medical research organizations which have to renew according to timely gaps. Most of the Environment Health and Safety reports are found in the websites which provide many good ideas by number of the leading pharmaceutical companies. Bio-Technology is study of Biology and Technology. It deals with pure biological sciences like genetics, microbiology, animal cell culture, molecular biology, biochemistry, embryology, cell biology, and is also dependent on knowledge/methods from outside the sphere of biology like chemical engineering, bioprocess engineering, information technology, biorobotics, etc. It is mainly concerned with many subjects like Agriculture and Animal Husbandry, Immunology, Virology, Cropping system and Crop Management, Ecology, Cell Biology, Soil science and Soil Conservation, Bio-statistics, Plant Physiology, Seed Technology. Biotechnology is process of using micro organisms, such as bacteria or yeasts, or biological substances, such as enzymes, to make specific industrial or manufacturing products. Today the Indian Pharmaceutical market is worth US$ 13 billion, with the domestic retail market expected to cross the US$ 10 billion mark in 2010 and reach an estimated US$ 12 billion to US$ 13 billion by 2012. The outsourcing opportunities are on the verge for growth of US$ 53 billion in 2010 from US$ 26 billion in 2006. The industry was estimated to be around US$ 13.2 billion in 2006-07. Out of which the domestic consumption of pharmaceuticals accounted for nearly 57 per cent while the rest 43 per cent was constituted by exports. In 2006, the market of Pharmaceutical witnessed an accelerated growth of more than 17%, primarily on account of increased clarity on tax reforms especially the Value Added Tax (VAT) implementation. The country's pharmaceutical market is expected to maintain a healthy growth rate of 12-13 per cent and expected to cross the US$ 10 billion mark by 2010 and reach approximately, US$ 12 to 13 billion by 2012. Indian Pharma Industry emerged as developing industry which has been able to prepare H1N1 vaccine. The National Institute of Allergy and Infectious Diseases (NIAID), part of the National Institutes of Health, funded the scientists and the vaccine was developed. This new vaccine works against the old virus because the 1918 and the 2009 strains of H1N1 influenza share features that allow vaccine-generated antibodies to recognize both viruses. One more mile stone in the Industry is that India's first domestic vaccine against swine flu was made possible.